For this adventure I had previously purchased a large construction paper pad. I spent entirely too much time meticulously picking the glue from the top of each page (where they all had been attached to form the pad). 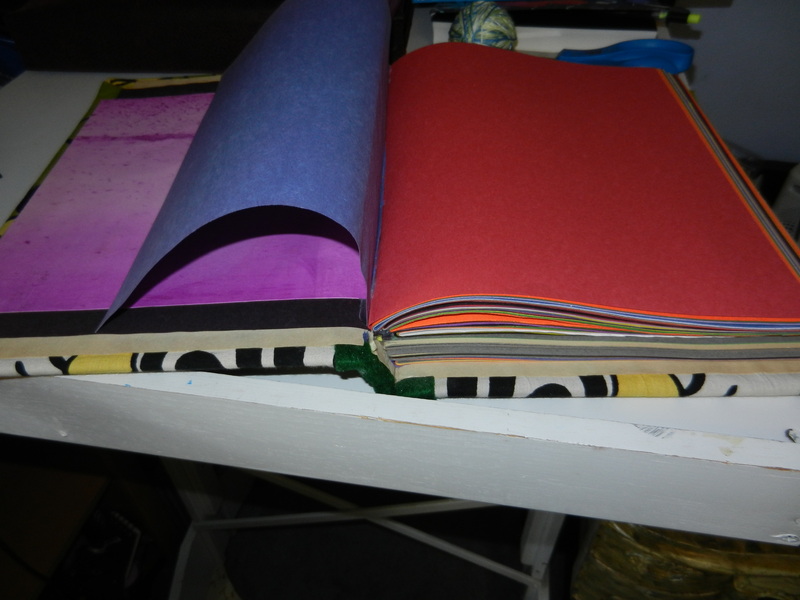 I was so happy when all the nit-picky work was done, that is until I discovered that the new construction paper was an inch taller than the original construction paper. It’s moments like this that I am so happy I received a hand-me-down mat cutter! It’s almost as awesome as having a paper guillotine. 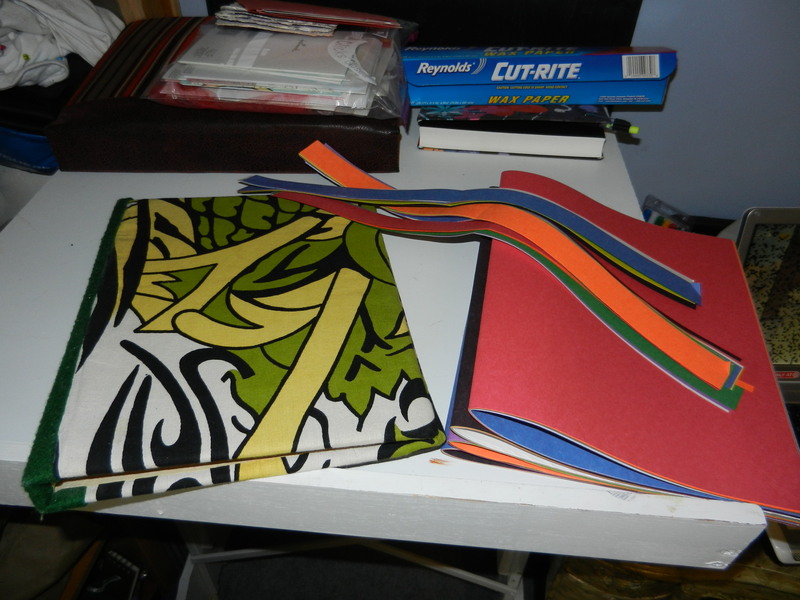 Soon enough I was heating up the glue gun and gluing in the new pages! It still needs a bit of clean-up work, but I’m pretty much done. Now to decide what I want to use it for. 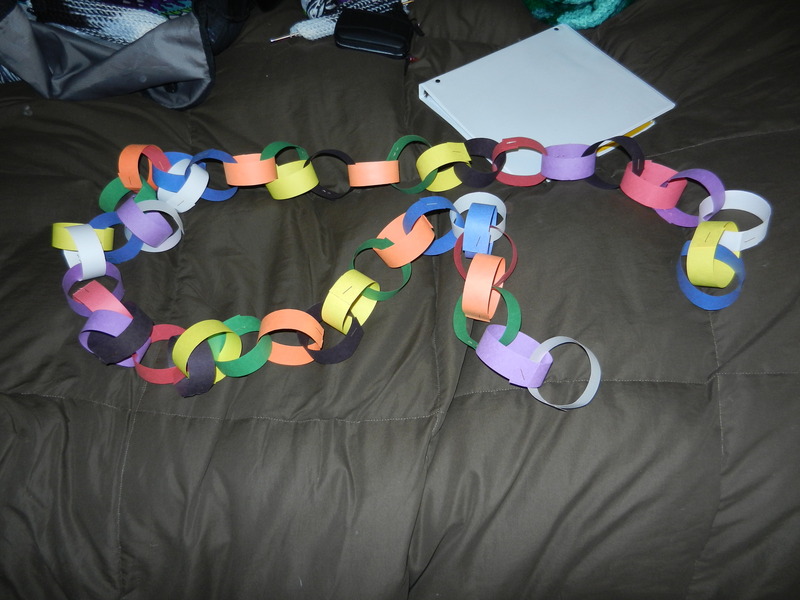 So you might be wondering what happened to the one inch strips of paper that I had to cut off…. My room will be PRETTY! 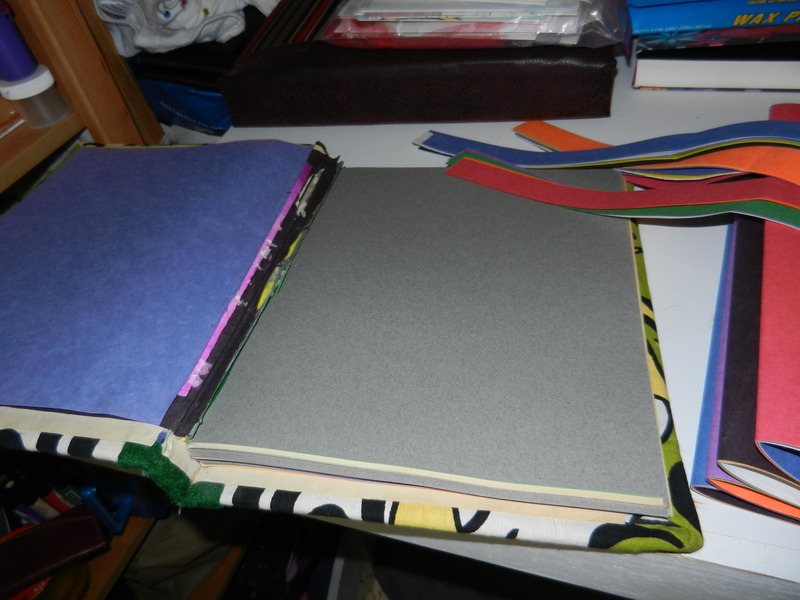 Posted on October 4, 2011, in Sewing/Knitting/Crocheting, The Green Book, Updates on Old Projects and tagged bookmaking, colored paper, glue gun, Green Book, paper chain, sewing. Bookmark the permalink. 1 Comment. Keep creating, love. It’s what you’re good at.